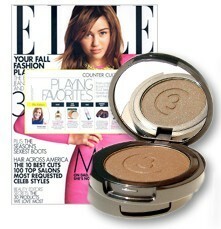 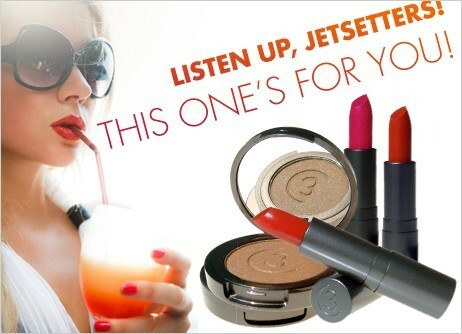 Inspired by the round, suggestively-shaped nut that can be found only in Praslin’s prehistoric Unesco World Heritage site Vallee de Mai in the Seychelles, this rich medium brown eye shadow with a dose of green shimmer, was featured in Elle Magazine as editors’ favorite "Pre-Party Pickup." 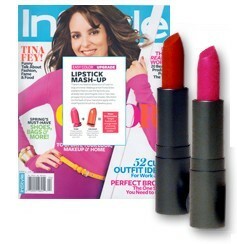 In Style Magazine layered our Getaway Shades to create a juicy, summery Neon Watermelon! 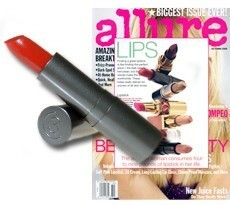 Bora Bora and Majorca Lipstick together create a "...Stunning fluorescent combo" in the April issue!